I have been contemplating this for a couple of months now - taking a step back from posting daily photos on my 365 project. Today I have been doing this non stop for exactly two years and one month - which makes todays photo number 761. I really love doing this photo project, but it is rather time consuming, and I know that 2019 will be a very busy year for me and my husband - so - I'm going to take a small step back from my 365 photo project, and instead it will be my "less than 365 project", where I will allow time and energy to decide how often I will take/post photos :-). 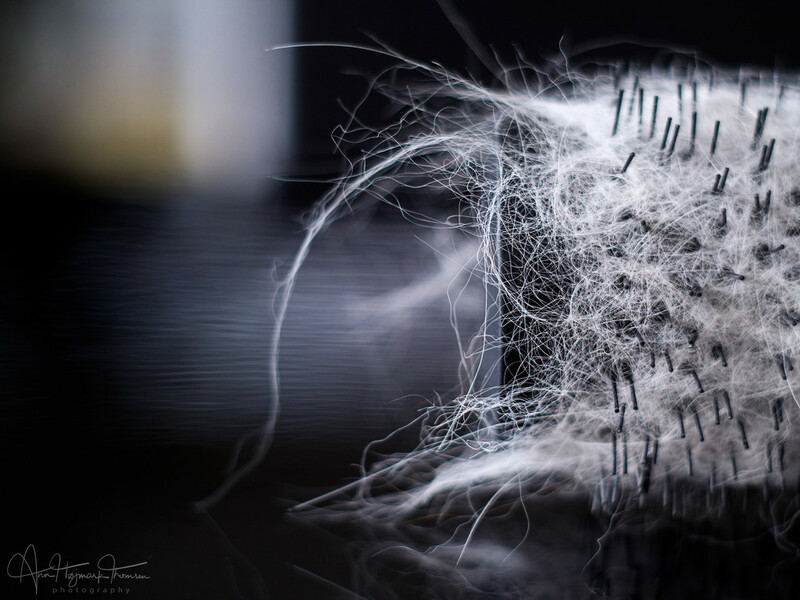 Today's shot btw is a shot of one of the brushes I use to groom our two Turkish Van cats. Especially our female, Sil, really enjoys being groomed with it, and the brush quickly builds up with a lot of fur :-)... Today I was able to give her an extra long grooming much to her enjoyment, since I've been home from work due to a cold and a slight fever. Beautifully composed ... whether daily or otherwise, I will continue to look forward to the posts you share. Looking forward to what your third year brings! unusual but great shot,look forward to seeing more in the future. I keep meaning to move to a 52-week project but I suspect if I break the daily habit, that'll be it. I am a total creature of habit. I look forward to hopefully seeing more posts in the future. They're always quality shots.